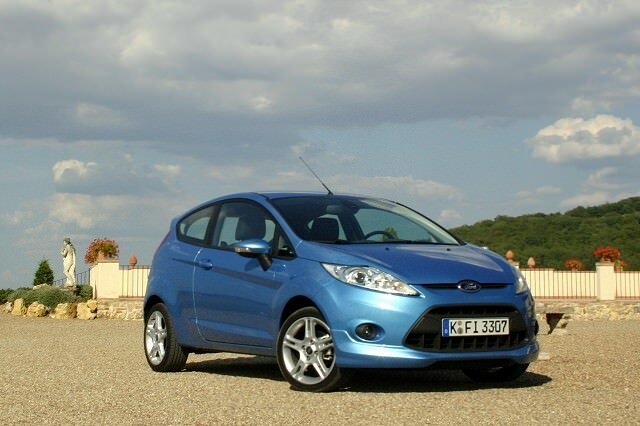 Fun to drive and plentiful numbers make the Fiesta a fine used supermini choice. The prevalence of Style models in 1.25-litre petrol guise does somewhat limit your scope if you’re after a higher specified model, but the Fiesta remains a very attractive ownership proposition in comparison to its VW Polo, Toyota Yaris and Opel Corsa rivals. A mainstay of the supermini class, the Fiesta has been around since 1976. This sixth-generation model was introduced in 2008. It’s unrecognisable from its predecessors, with space, comfort, refinement and safety to eclipse them. What has remained is the Fiesta’s competitive pricing, it remaining an affordable proposition for all. Like its supermini rivals it has grown with advancing years, to this version is now big enough to be considered as an only car for smaller families. It’s great fun to drive, too. In the hotly contested supermini marketplace the Ford Fiesta remains a favourite. Competing with rivals like Volkswagen’s Polo, Toyota’s Yaris and the Opel Corsa the Fiesta retains its position as the most fun to drive car in the class. Like those rivals the Fiesta has grown over the years, so it's now big enough to fulfil the role of family car rather than mere family runabout. Available in either three- or five-door body styles, the former does sacrifice easy access to those rear seats for its sharper lines. Not that the five-door is a poor relation in the style front, the Fiesta remaining fresh and attractive despite being introduced in 2008. Various trim levels exist, with Style, Edge, Zetec and Titanium available - the vast majority of used examples offered are in Style trim. This covers the basics, with alloy wheels, electric windows, colour coded bumpers, mirrors and door handles and remote central locking. If you want air conditioning you’ll need to search for a higher specification example like the rarer Titanium - or a car that’s had it added optionally. Engines include a peppy 1.25-litre petrol unit with two outputs, a 1.4-litre petrol and a 1.4-litre TDCi turbodiesel. The 1.4-litre TDCi is the better choice if you’re doing high mileage thanks to its greater economy, but the 1.25-litre petrol is far more readily available and still delivers fine economy and performance. You’ll be spoilt for choice, as the 1.25-litre car was by far the biggest seller. Typically it’s found in Style trim, but if you can find a Titanium model with its extra standard equipment then it’s worth the effort.